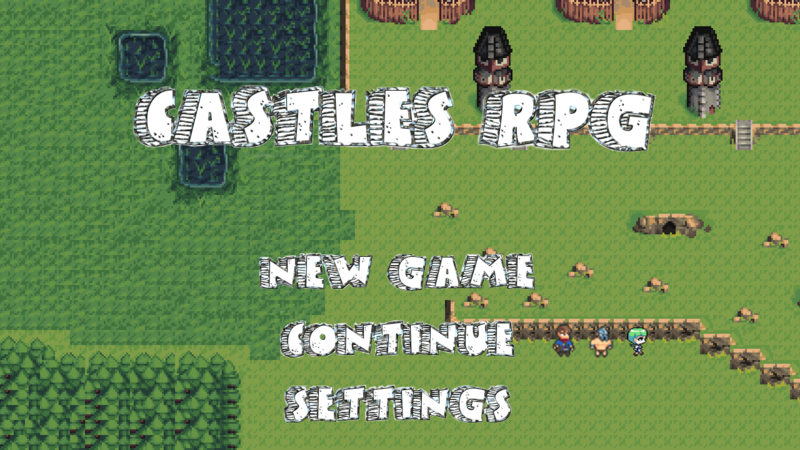 The start screen is pretty much the most classic start screen you can have in an rpg, you have the title of the game in the top middle, a background about the game, and options to select in rows below the title. The background I just used my level design as I think it’s pretty common, and its nice to show part of the map. Next to the continue button are the current members of the party in the last save file, since I see that often also and think it’s a nice addition to not make the start screen too plain. 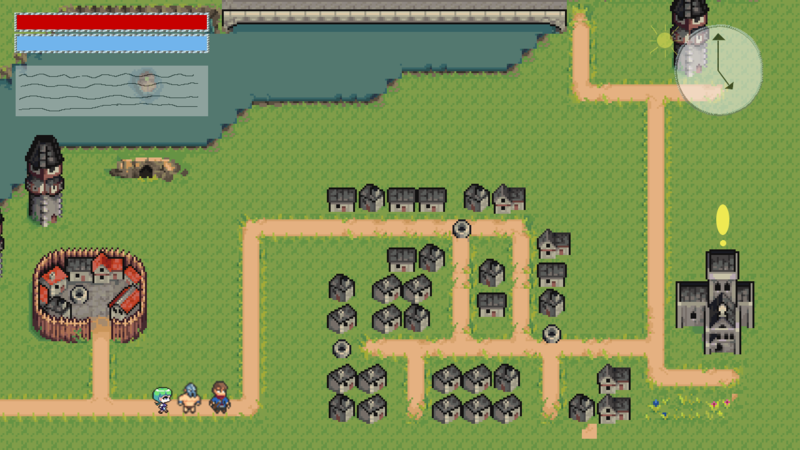 The level screen is just your party traveling around a town. I liked the idea behind dungeon crawlers like Legend of Grimrock or Pokemon Mystery Dungeon, and one of the ideas I had was just using that system, but rather than having instances or having one huge dungeon, it would be an entire rpg using turns. I added a clock, day/night indicator, and a textbox for previous events, along with health bars. The clock is due to the fact that what makes these systems work so well, was that although they were turn based, each and every step mattered, and having events occur at certain times would require giving the player exact times or turns to recognize that.